I started Diamond Sports Company for the enthusiastic collector in all of us. Ebay is great but seeing and touching a collectible in person, trusting the seller and taking the item home with you today is always better. We provide 100% money back guarantee on all of our autographed items and provide our own certification. Nearly all of our autographs were obtained by us directly from the players or are sourced from undispudable resources. We provide a wonderful atmosphere to search our vast inventory of collectibles and invite you to come to our shop. 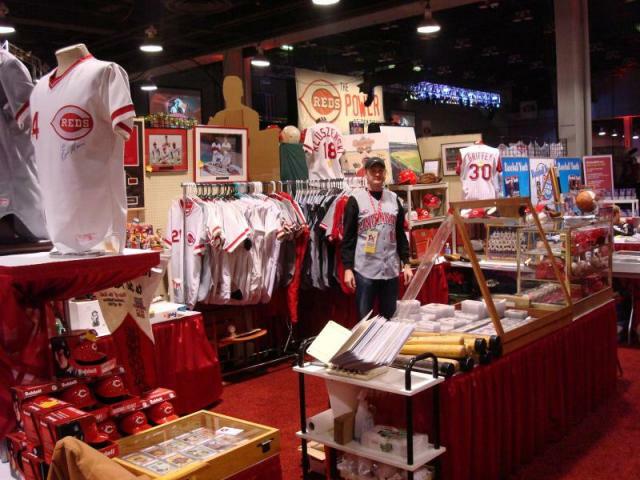 We have a large inventory of game used Jerseys's, Bats, PSA Graded Cards, Autographed Baseball's, Framed Jersey's, Vintage Reds's Collectibles, Riverfront Stadium Seats, Bobbleheads, Posters and Much More!!! !